I have to say that though there have been dramatic improvements in the range of vegan and dairy-free Easter chocolate egg options on the mainstream market, I’m still disappointed in the available products. Maybe I’m too picky? I don’t know, but I do know that for now, the commercial vegan Easter eggs just don’t live up to the chocolates I used to enjoy as a child. It could also be that traditions being different here in the UK, I find it hard to recreate my childhood Easter celebration, which consisted of my mother hiding mini chocolate eggs all around the living room, dining room and kitchen, and my sister and I racing to gather the most. We’d count them up afterwards, sorting them into large mixing bowls (that I still have to this day) and whoever had the most was the winner. So, Dear Chocolate Makers of Britain, I’m sorry to say that your Easter eggs are not up to scratch. Call me finnicky, but I just want what I want. 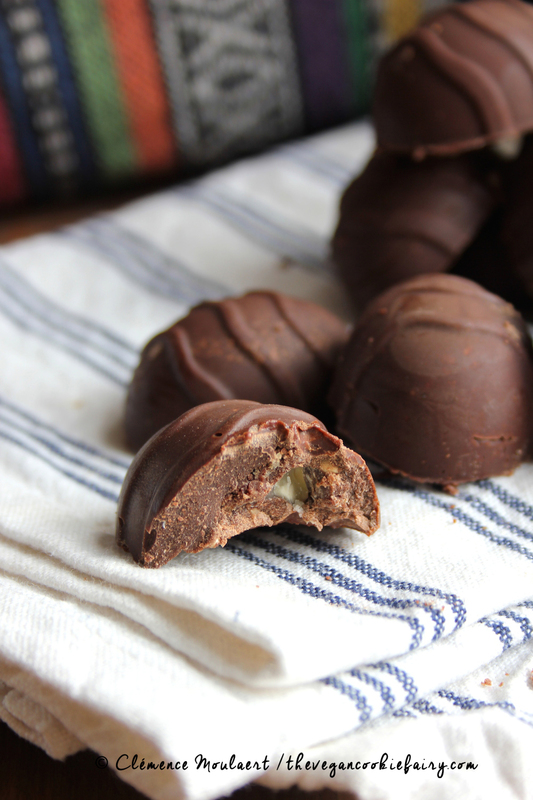 Enter these vegan Chocolate Praline Easter Eggs. 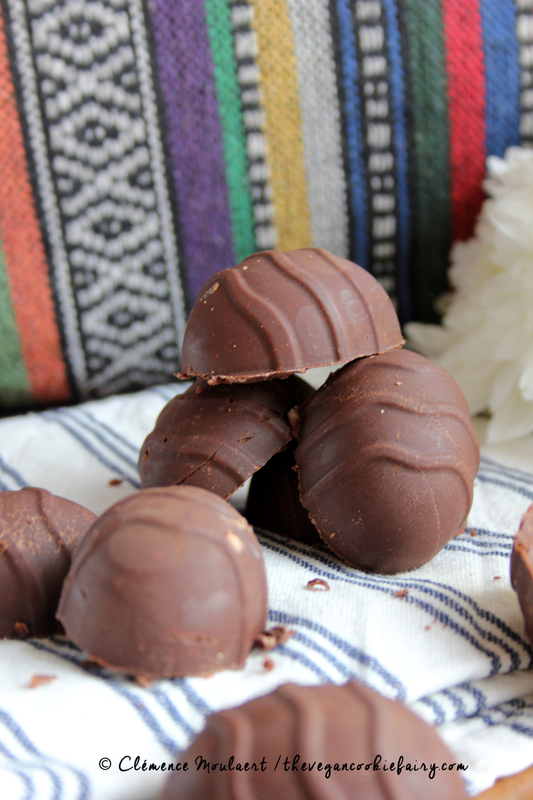 This recipe is based on my Guylians Chocolate Sea Shells, which would also be perfect for Easter. An Easter egg should be a surprise, a delight; that’s what these are. A creamy chocolate shell covering a decadent hazelnut praline chocolate centre, wrapped in fierce determination and served with a side of gluttony. Happy Easter, everyone! I hope you have a wicked weekend and eat chocolate to your heart’s content. 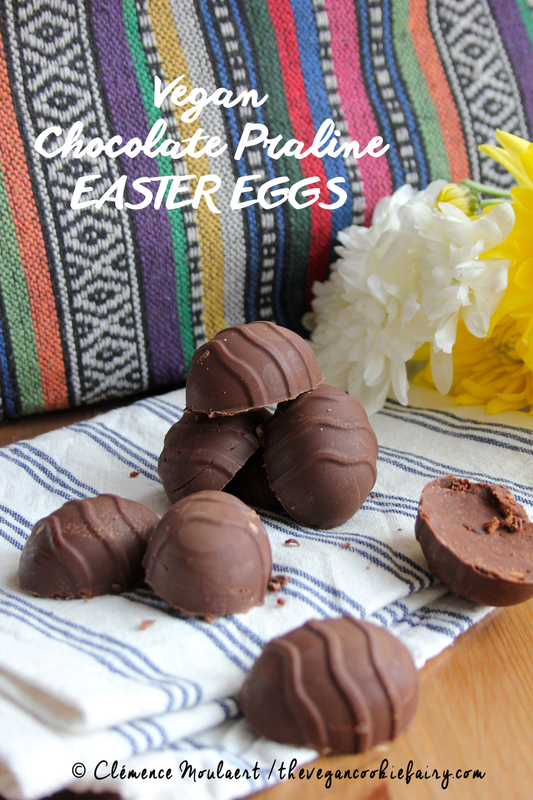 Note: I have included a link to an Easter egg mould in the recipe BUT it isn’t the one I have. It’s as close as I could find. The Easter egg mould I own came from eBay but doesn’t seem to be available anymore. The egg sizes are like small chicken’s eggs, or quails’ eggs. Medium-small-ish is what I would call them, but I know that’s infuriatingly vague. This one also looks similar to my mould. 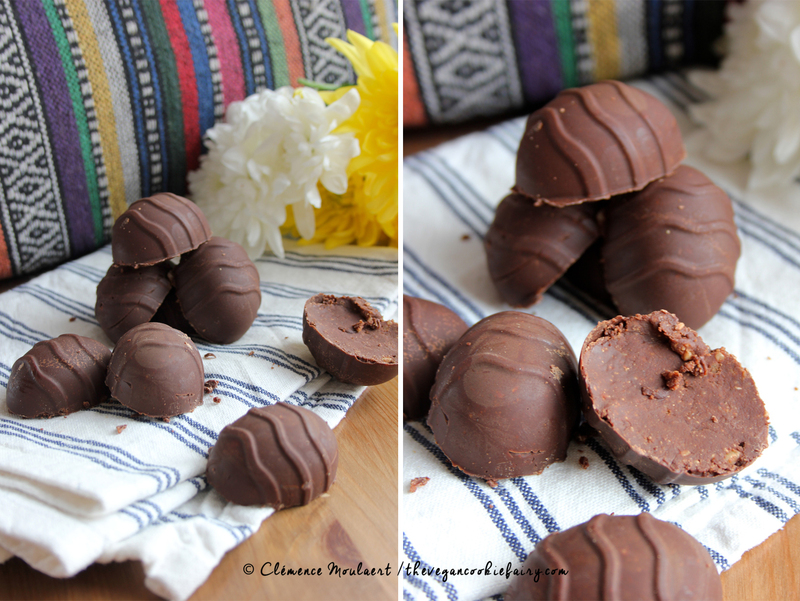 [yumprint-recipe id=’17’]What’s your favourite Easter tradition? Did you like this post + recipe? Then sign up for email updates! Yummy yummy, lots of hugs and cuddles and have a lovely decadent weekend.. But failing that, you can always keep a few cans of full-fat coconut milk in the fridge and scoop out the cream when you need it.